Need a remote code for your JENSEN TV? 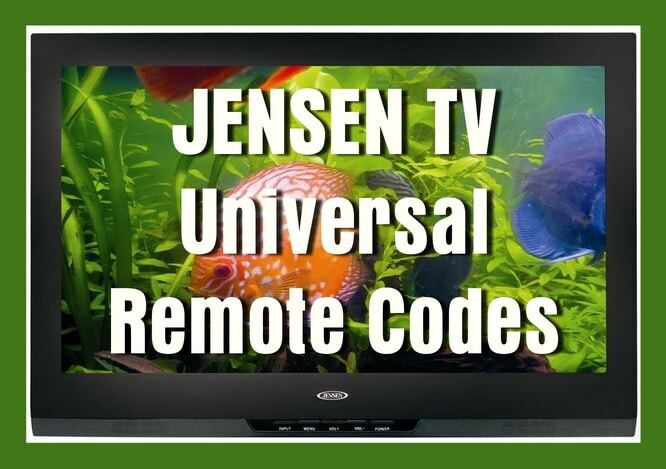 If you have a universal remote control and you need the remote codes to operate your JENSEN TV, we have codes below for your TV that should be working. If the first does not work keep trying the numbers down the list. – PRESS the button for the TV then RELEASE. – PRESS and HOLD the SETUP button until the red LED flashes twice, then RELEASE. – ALTERNATE slowly between the POWER key and the DEVICE TV button until your device turns off. – Make sure that the remote is pointed at your device during the search. – You may have to press this sequences of buttons multiple times to search the entire library of codes. – When your TV turns OFF, PRESS the SETUP button and RELEASE it to lock in the code for your TV. Your JENSEN TV can be controlled with a universal remote and work with RCA remotes, Comcast, DirecTV, Charter, and more. Do you have any other codes to add to the list for JENSEN TV remote codes? Please leave a comment below. I have an Element Blu-ray player and looking to set my Jensen universal remote control.